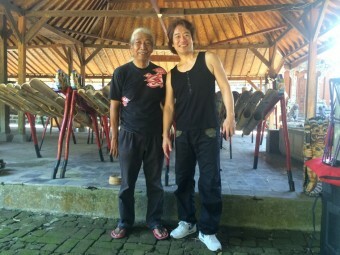 Leonard Eto, Kinu Watanabe of the Japan Foundation, Makoto Shimazaki (Chairman of Kodo Cultural Foundation) and I visited Bali, Indonesia, in order to explore the possibilities for our upcoming collaborative performances at EC (for the first time in 18 years) and also for future Kodo performances in Bali. 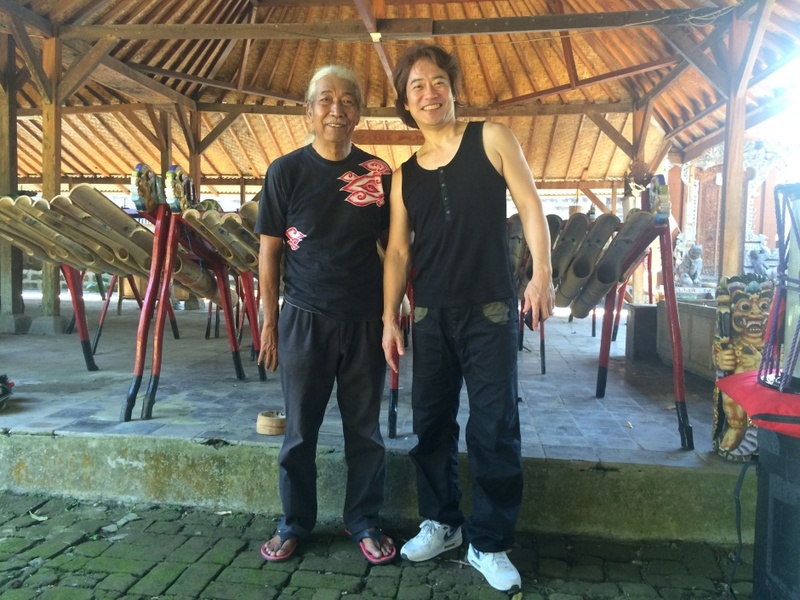 For Leonard and myself, it was our first trip to Bali in 20 years, but the moment we felt the warm, humid air of the tropics, we were overcome by nostalgia and everything felt familiar again right away. Our reunion with Suwentra, the leader of Suar Agung, also felt so natural… it was as if no time had passed at all. We spoke fondly of our memories together, and continued our recent conversations about this year’s performance at EC without reservation. 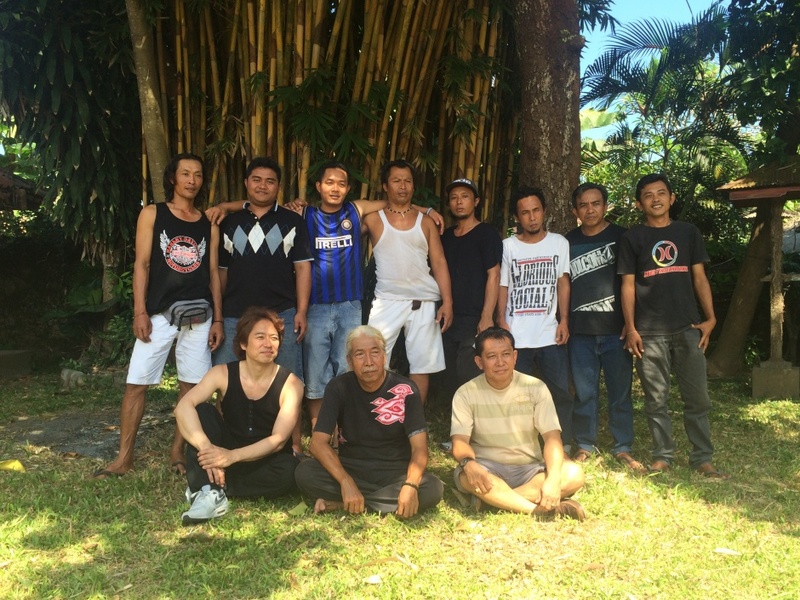 The next day, we went to Nugara, the western region of Bali where their headquarters are located. 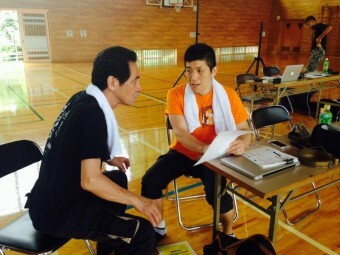 There, Leonard led rehearsals with Suar Agung, keeping in mind the vision of Mitsuru Ishizuka who is directing the performance “Shukusai” on the final night of EC. It was indeed a fruitful visit. A new gallery page with photos from Earth Celebration 2014 is now ready for viewing on the official EC website. Have a look at the great memories captured at EC this year! During EC 2014, the Earth Celebration Committee collected donations to help victims of the Hiroshima landslide disaster on Aug. 20. 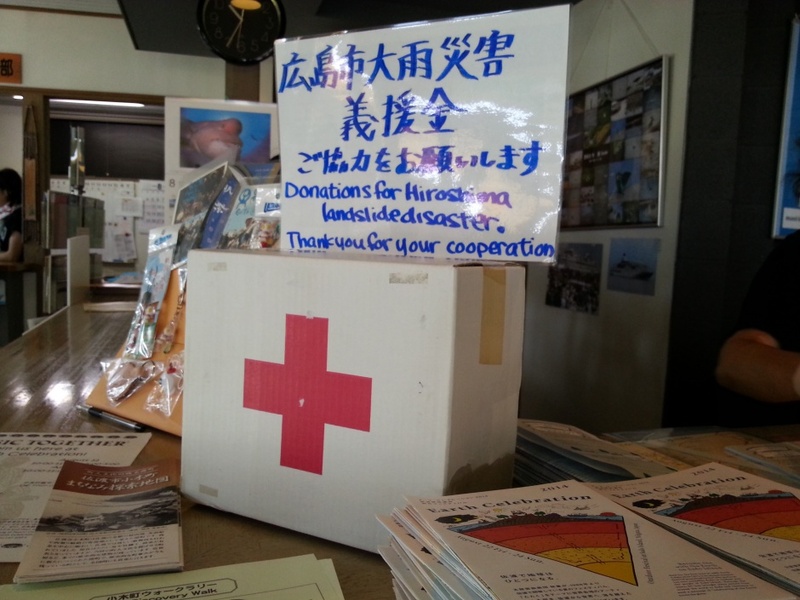 The funds collected will be sent to Hiroshima via the Japanese Red Cross Society. Thank you very much to everyone for their kind support. We are all praying for the swift recovery of the area. Earth Celebration is coming up this weekend. 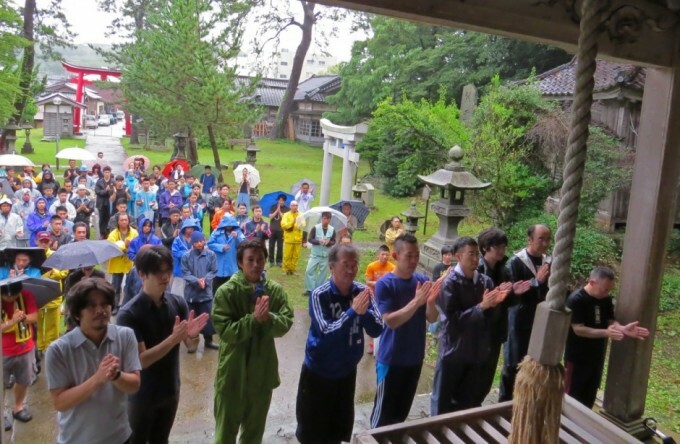 Today, all of the performers and staff gathered at Kisaki Shrine to pray together for a safe festival. 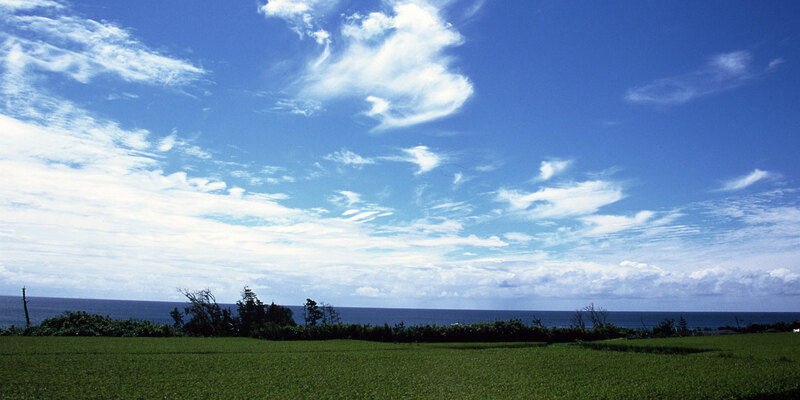 We wish you all a safe journey to join us here on Sado Island, too! We really hope that everyone who gathers for Earth Celebration will have a wonderful time with us. 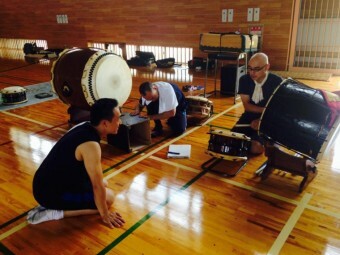 Kodo Distinguished Members to Take the Stage Together at EC! 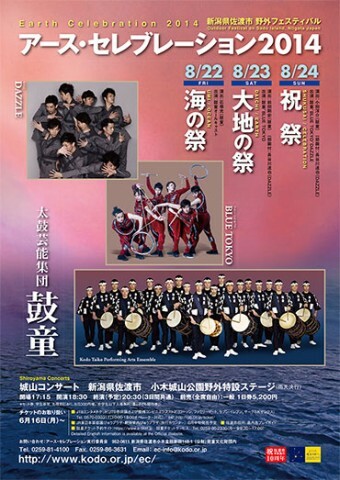 On Aug. 12, there was a rehearsal for the Shiroyama Concert on the opening night of Earth Celebration, “UMI / OCEAN.” All the Kodo Distinguished Members will join the cast for the performance, too. Did somebody say something about a surprise piece…?! The cast for “UMI / OCEAN” is all 32 Kodo performers, ranging from the Distinguished Members through to the junior members. It will be the first time for this cast to perform ALL together. Please join us! 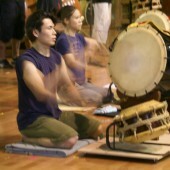 Right into Rehearsals for EC Theatre “Kodo Dai Ginjo: Seasoned Quintet”! 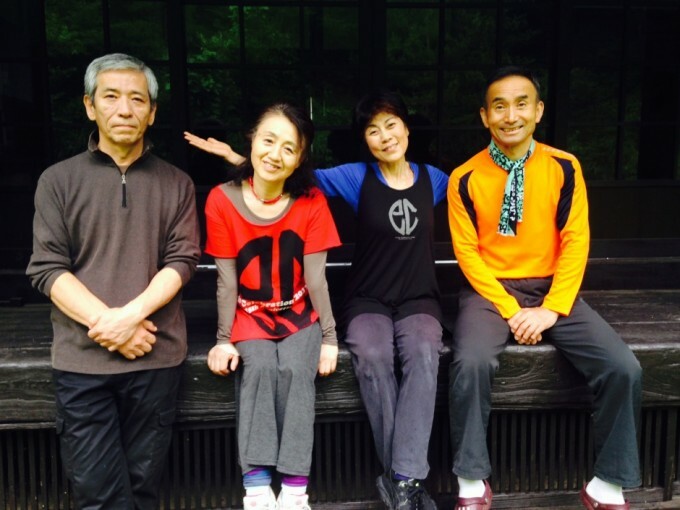 “Kodo Dai Ginjo: Seasoned Quintet,” a new programme that will take the stage at EC Theatre, has started to take shape, little by a little. Here you can see the performers sitting face-to-face in a circle as they create a new piece to debut at EC Theatre on Aug. 24. 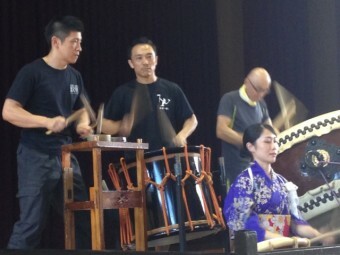 Yoshie Abe will return to the stage to join the cast of male power-hitters & veterans for this performance. 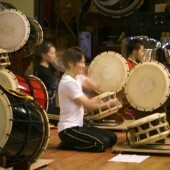 The sounds of taiko, shamisen, and shinobue (bamboo flute) will entwine and fill the hall with an array of sounds. They have prepared some unique stage props for this performance, too, so please come along and see! Yoshie Abe (née Sunahata) is working as a Kodo staff member while raising her daughter, but on Day 3 of Earth Celebration 2014 she will return to the stage to sing in EC Theatre’s “Kodo Dai Ginjo: Seasoned Quintet” and in Special Fringe event “Yoi no Yunzuru.” We look forward to presenting her beautiful voice in these feel-good programmes. 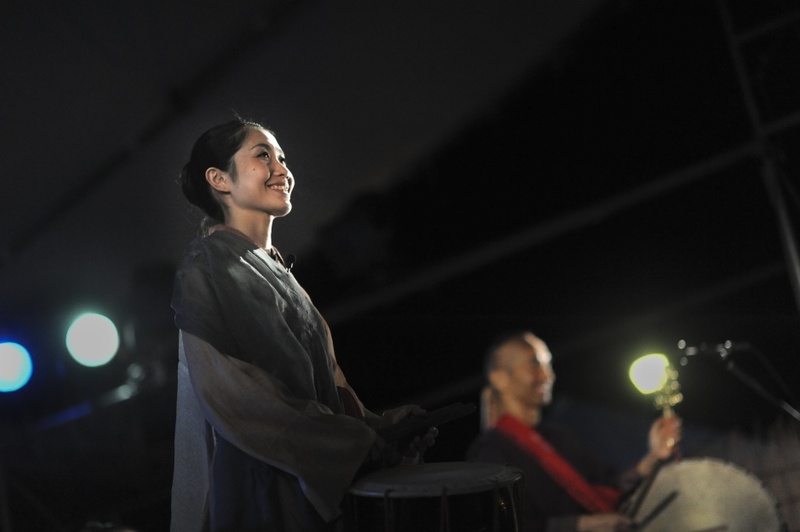 If you’re one of Yoshie’s fans, don’t miss your chance to see her perform again live! Hello, everyone! Long time, no see! 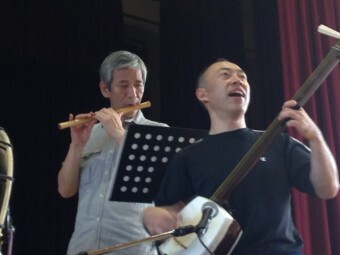 I am really looking forward to the opportunity to perform at EC Theatre in “Kodo Dai Ginjo: Seasoned Quintet”! The songs I will sing are still a secret, but I can tell you that I will be playing an upright harp for the first time. The artistic direction by Yuichiro Funabashi is taking a somewhat refined path, but it is couple with unique ideas and will create a truly unique atmosphere.  Without a doubt, it’s going to be an interesting performance! By all means, please come and share this special time with us. 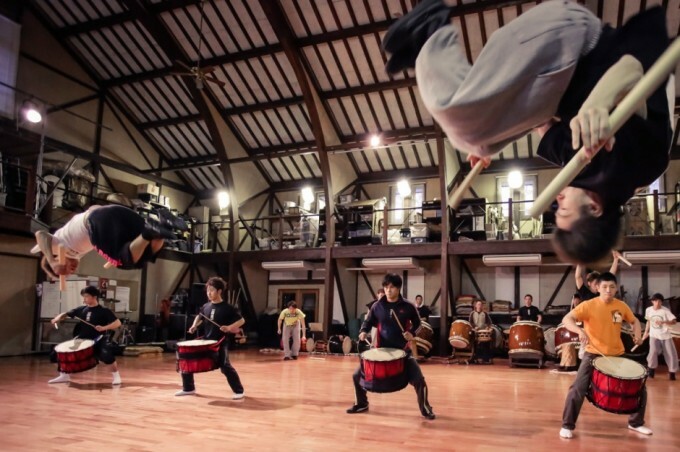 Rehearsals are moving along for EC Theatre “Kodo Dai Ginjo: Seasoned Quintet.” They really work carefully to create both the programme and their sound for it. 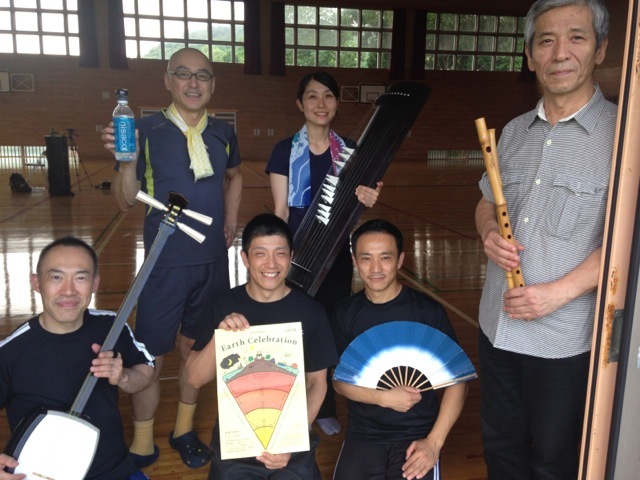 Join us for this EC Theatre concert performed by 5 veteran Kodo players, well trained and matured musicians who relentlessly seek new musical horizons. 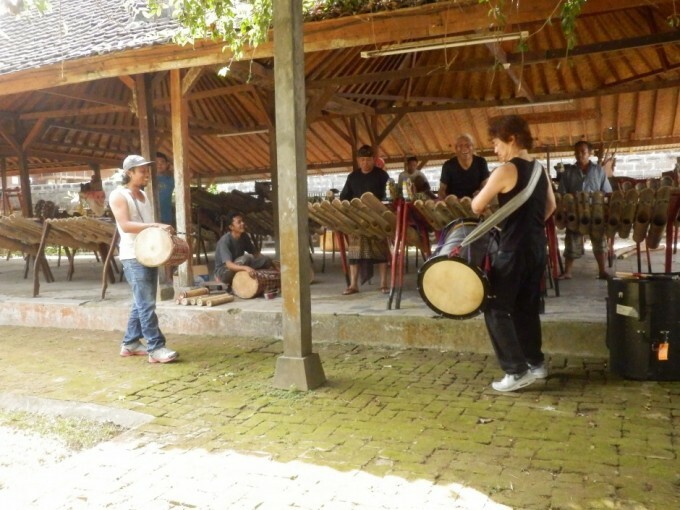 This matinee performance takes place in small venue where the audience can be close to the performers and can experience the passion of the music and the musicians. 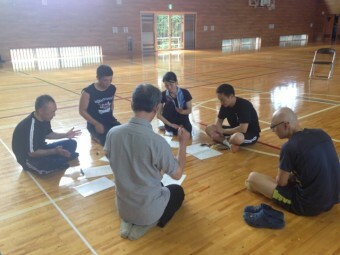 From April 11 (Fri) to 13 (Sun), we had rehearsals with BLUE TOKYO and DAZZLE. 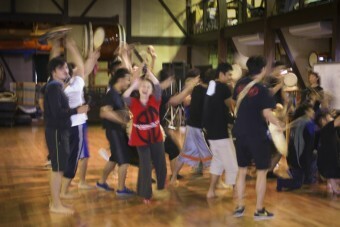 BLUE TOKYO members showed us somersaults, backflips and more! 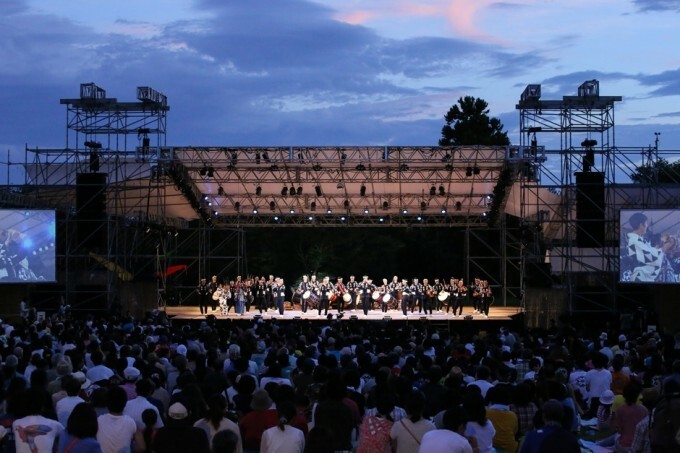 We hope you’re looking forward to the Shiroyama Concerts this summer!